I know it’s now 2017 and the TV shows have moved on from reviewing last year but I haven’t and maybe by posting this a little later than usual people won’t be in the ‘not another one’ mood. Either way, this is what it is. It’s a review of my cycling year 2016. As a whole for cycling 2016 was quite a mixed bag. I decided due to cost that I would not be riding the Tour of Cambridgeshire again like I did in 2015, so instead I decided to focus on bagging hills from the “100 UK Climbs” book. 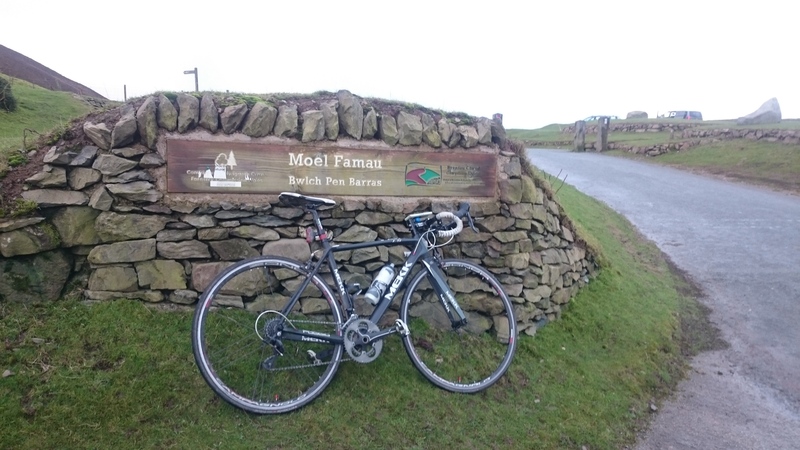 With this as a focus the year started off pretty well; a trip to North Wales for work saw me able to get out and take two climbs in the first week. These were Penbarra (#88) and later in the same ride Moel Arthur (#87). By the end of January I’d added Carlton Bank (#58) to my list by stopping off in the North York Moors during a journey down the country. February saw one more hill conquered Hartside Fell (#77) and another trip up north in March allowed me to pin down two from the North Pennines; these were Chapel Fell (#62) and Crawleyside Bank (#59). March continued to be a big hill bagging month and given the opportunity to plot a Peak District route for a ride with some friends, I took the opportunity to drag them up some of the hills that I hadn’t climbed yet. So on a great day trip to the south side of the Peaks we bashed out numbers 30, 31, 32, 34 and 35. That’s Monsal Head, Bank Road, Riber, Rowsley Bar and Curbar Edge. It was quite a day of climbing and one enjoyed by all. In fact I’ve been asked to create another Peak District loop for the same group of guys and guess what. This time we’ll be hitting some more hills, different ones but still tough! April failed to bring me any new hills to attack, so I had to go hunting alone in May and took the opportunity of a free Saturday to ride south from Bluewater shopping centre into Kent and Sussex to pick up a few of the hills in the far south. By plotting a convoluted route I managed to get myself riding up 4 more hills, The Wall (#19), Toy’s Hill (#20), York’s Hill (#15) and White Lane (#16). This was a good ride, by starting from Bluewater I had easy access to a start point from the main UK road system and plenty of parking. I also gave myself access to the facilities for food and toilet once I got back. Oh and Kent is a fairly picturesque place to cycle around. I do quite fancy a ride from Bluewater down to Hastings and back at some point in the future! There was no write up of this ride though I’m afraid. 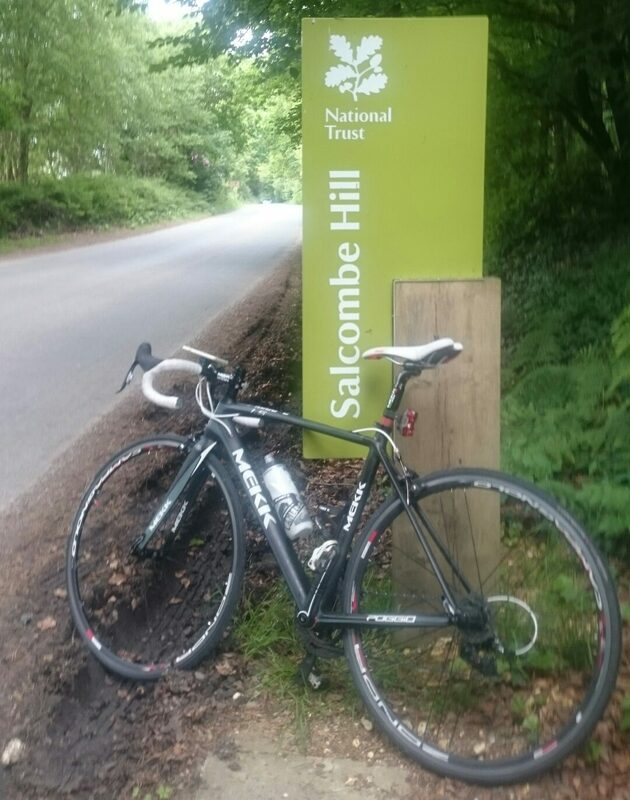 As June arrived and my cycling friends were all involved in the Tour of Cambridgeshire I was planning to climb Salcombe Hill in Devon. Another trip for work brought the opportunity to ride out from Exmouth and soon climb #12 was dispatched. The summer hill climbing wasn’t as prolific as in the spring but a quick loop in Leicestershire bagged hill #29, Terrace Hill and in August a short but windy loop around Lincoln near to where I grew up allowed me the opportunity of adding Michaelgate (#28) to my list. This was my first cobbled climb from the 100 climbs list and I must say, I rather enjoyed the lumpy, bumpy accent. Eschewing the 1 per month theme that seemed to have reigned through the summer, I started the autumn with another of my multiple hill rides. 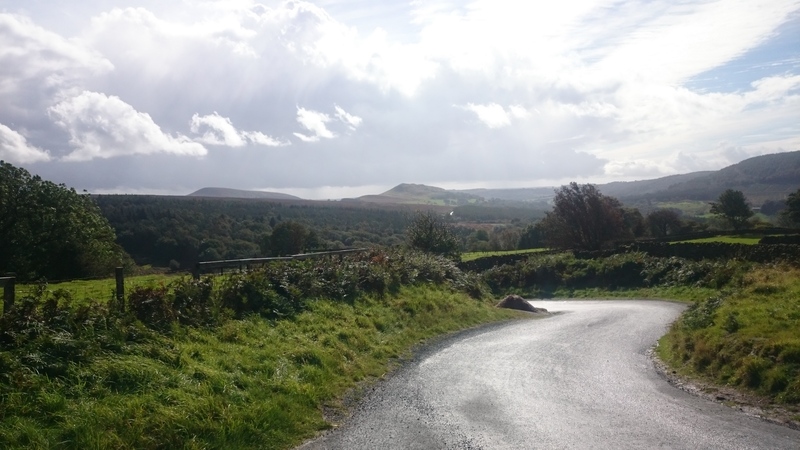 This time with a couple of riding buddies in tow I chalked off 2 new climbs in the North York Moors; White Horse Bank (#56) and Boltby Bank (#54). 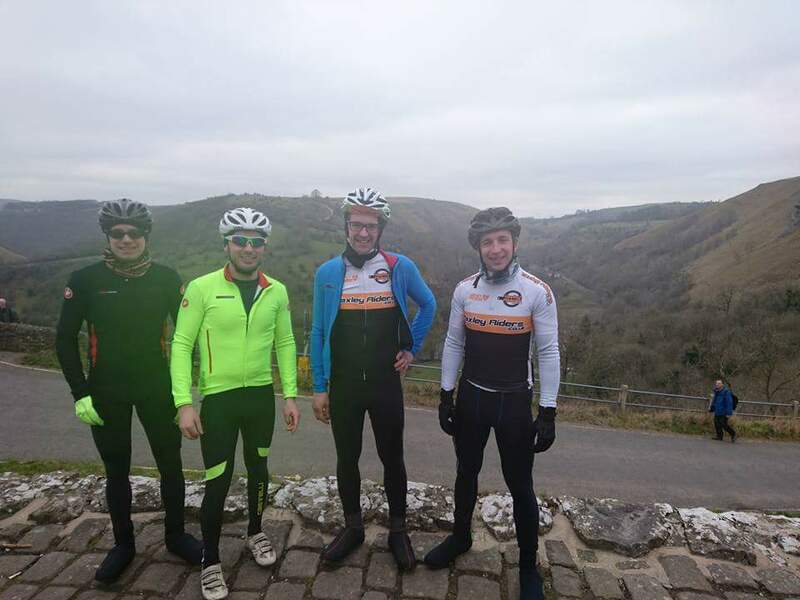 We also rode up Carlton Bank in the same ride but I cant count that one twice as I’d already done that one in January. My original route for the day also included Rosedale Chimney (#55) but we didn’t manage to ride this as we cut the route short instead. Not to worry too much though as I’d already ridden Rosedale back in August 2015 so I wasn’t too put out. October saw a hill free month come and go, always a bit disappointing but sometimes that’s just how it is. December was the same – no hills. Fortunately November did have a hill for me to add to the completed list but it was just the one. This time a morning ride while stopping off on my way south west allowed me to catch Dover’s Hill (#13) with a short loop from Evesham. And that was 2016 in terms of my 100 UK climbs hill completions. I make that 20 more hills completed to add to the ones from 2015, there are many more still to go and it gets harder the more I take out as I’m now getting to the point where I’ve done all the easily accessible ones. But I’ll keep going and aim to ride as many as I can. Of course 2016 wasn’t just a long list of hills. Anyone who knows me or reads this blog will also know that I completed a new longest ever ride during the summer as well. 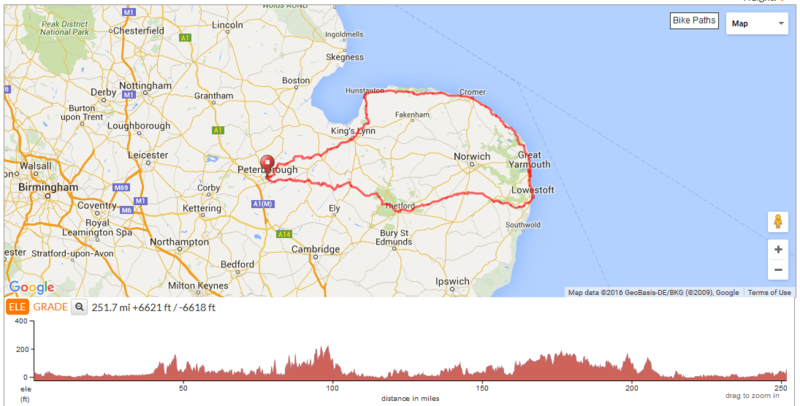 This was a 250 mile loop from Peterborough out to Norfolk and around the coast, taking in Hunstanton, Cromer and Great Yarmouth and then down into Suffolk briefly to reach Lowestoft before heading back inland and home. Four of us left Peterborough at 3 AM and after a long day on the saddle I reached home around midnight. I think this was probably my biggest achievement of 2016. Other road rides included the annual Yaxley Riders Reliability Ride in February and also the annual PACE/Yaxley Riders/others Hunstanton Fish & Chip run. Away from the road I also had some time out and about on my mountain bike. Beginning with a rather Snowy January trip to the Peak District, continuing with a slightly less but still snowy trip to the North York Moors and then later in the year including my usual 3 day mountain biking/camping trek and a weekend trip to the Llandegla Forest trails. The final mountain biking event was a local Christmas mtb pub crawl. In terms of achievement on the mtb I definitely think that my confidence to go faster over the rough stuff has gone up. 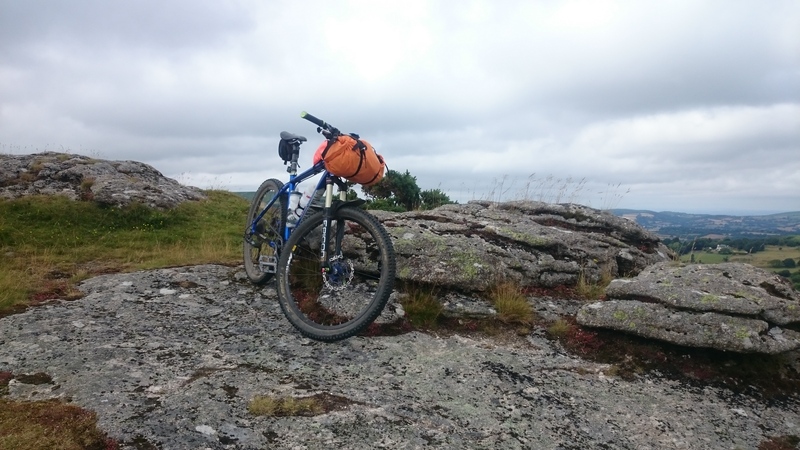 I was particularly pleased with a ‘clean ride’ down a rocky decent in Dartmoor. This wasn’t a fast rocky descent like you get in The Peak District but more of a technical pick your way down descent. With some huge rocks to avoid. Of course the video never shows it in all it’s glory and makes things seem far tamer than they really are, but here it is anyway! In terms of overall stats. According to Veloviewer as you can see in the infographic, you can sum up my 2016 as being ‘Just a little bit more’. I did a few more miles, went out a few more times and did a bit more climbing. I put this down mostly to spending more time on the road bike compared to the mountain bike. I’ve really enjoyed my mountain biking in 2016 but have kept it reserved for the ‘good stuff’ in the most part. How does my bike fit, Guru?